(branding, design). 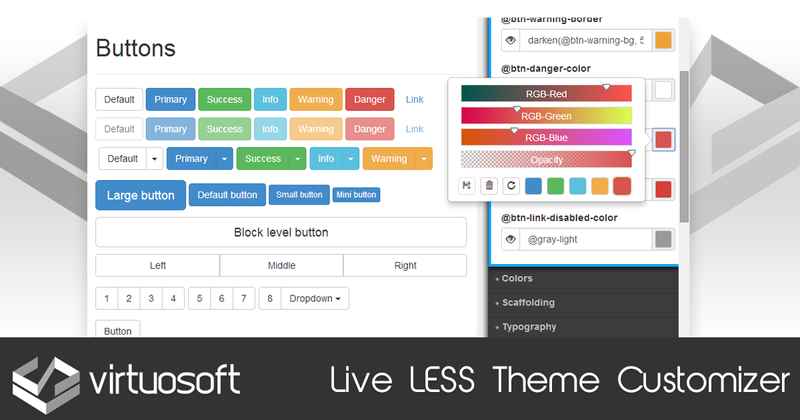 Our goal is to help the web-developer community to provide useful tools and plugins to support their work. If you like our work, then don't forget to follow Virtuosoft on Twitter, Facebook or Google+ to get notified about the coming tools! Live edit the visuals of a web page in a browser with the help of Less.js (colors, padding and any other CSS style). 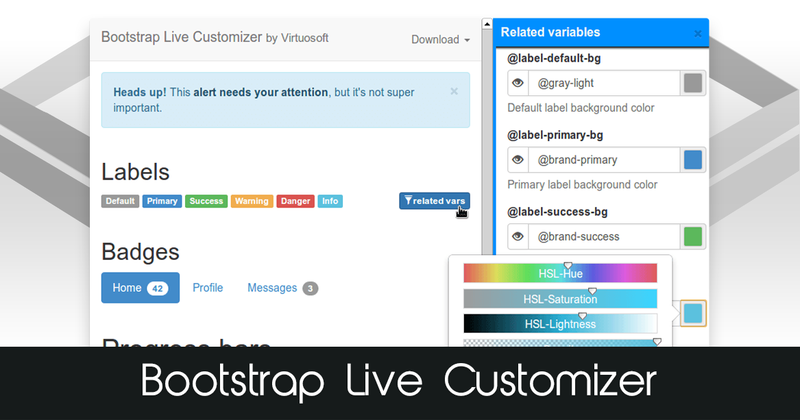 The easiest way to customize Bootstrap's styles, with many built-in themes. Try now, it's free and always will be.